As one of the enduring highlight events on the Grease Industry Calendar, the ELGI has always provided a great platform from which to network with peers and learn from industry experts on a range of topics impacting the grease world. As one of the organisations involved in the founding of the ELGI back in 1988, AXEL has inevitably been keen to support and participate at its’ AGMs on a regular basis throughout its 30 years. 2018 was no different in that regard, with AXEL Development Engineer Roland Ardai contributing to this year’s themed presentation programme: Mobility Quo Vadis – Developments in the Grease Industry. The Future of Transportation – Cars, Boat, Planes and Trains. 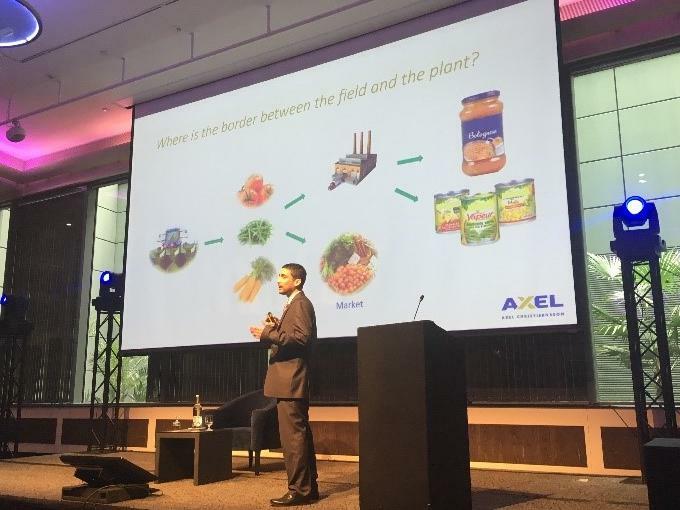 Roland's paper was titled: “From Soil to Plate – Lubricating the entire food processing chain”,, which gave much “food for thought” to those in attendance. For those of you unable to be at the ELGI this year, we are proud to share the presentation below.